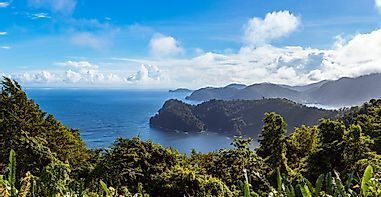 The world's most massive bodies of water can be found across the Americas, Asia, and Africa. The only "oceanic lake" on our list, the Caspian Sea spans a portion of the continental boundary between Asia and Europe. 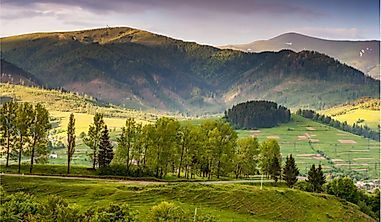 Lakes can be formed as a result of tectonic, volcanic, or even glacial activities, but intentional and accidental human activities also have created and destroyed many lakes. Looking at natural causes of lake formation, the fact that most of the world’s great lakes are in North America is by no coincidence. 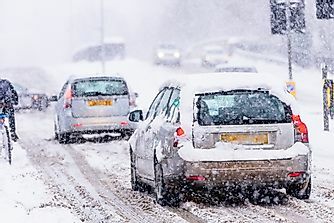 This has come to be because, in the distant past, the region was covered in glaciers and, as these glaciers move constantly, their removal of earth and deposition of melting ice water causes lakes to be formed. Lakes serve as important habitats and water resources. While there’re a lot of noteworthy lakes on the planet, we have listed the 10 largest lakes in the world. Lakes are bodies of water located completely inland, independent and separated from the divisions of oceans and seas. 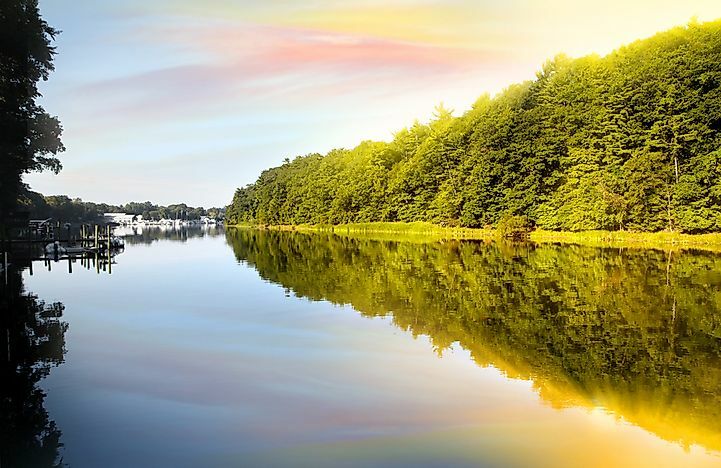 Lakes are larger and deeper when compared to the bodies of water we refer to as ponds, and many of them are fed and drained by streams and rivers. It’s estimated that there are around 2 million lakes across the globe. 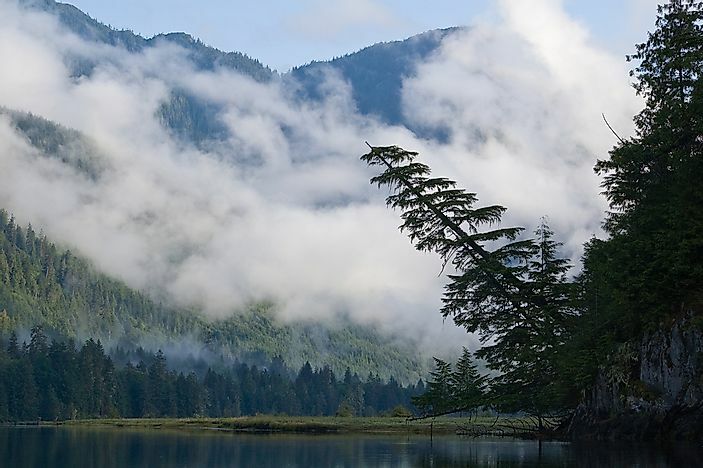 Some lakes lie in mountainous areas, while others are found at elevations near sea level. Lakes can either be freshwater lakes, or saline lakes. 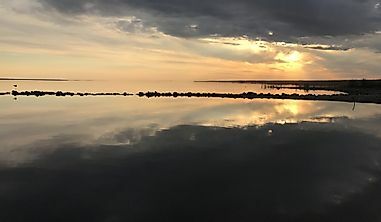 Not only is The Great Slave Lake the 10th largest lake in the-world, it's also North America's deepest lake reaching 614 meters in depth, and the 2nd largest lake in the Northwest Territories of Canada. The lake is 480 km long, ranges from 19 to 109 km wide, and covers a surface-area of 28,930 square kilometers. The Hay River is the Primary inflow, while the main outflow is the Mackenzie River. Situated far north at a surface elevation of at around 156 meters, the Great Slave Lake’s surface is frozen through much of the year. Lake Malawi, also referred to as Lago Niassa in Mozambique and Lake Nyasa in Tanzania, is a very stunning African lake which makes our list. Tanzania, Mozambique, and Malawi form the basin countries of this lake, which is the southernmost lake inside the East African Rift Lake system. Along with being the 9th largest lake in the world with a total surface area of 30,044 square kilometers, the lake holds the distinction as being the 3rd largest and the 2nd deepest lake on the African Continent as well. 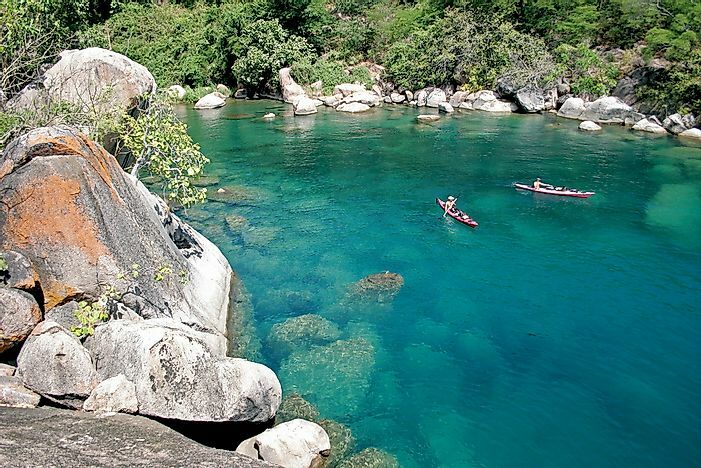 With its deepest point reaching down 706 m, Lake Malawi has a length of 579 km and an average depth of 292 m. The primary inflow for Lake Malawi is the Ruhuhu River, and the primary outflow is the Shire River at its southern end. Formed at a height of about 500 meters above sea level owing to the separation of tectonic plates, this meromictic lake (a lake with surface and deep-water layers that don’t intermix) is famous for being the lake that hosts the highest number of species of fish in the world, including almost 1,000 cichlid species. Located 200 km south of the Arctic Circle within the Northwest Territories of Canada, the Great Bear Lake is the fourth largest in North America. 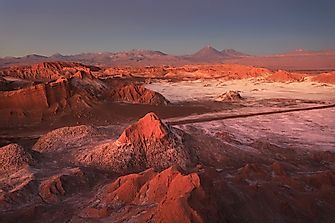 It is 320 km long, and up to 175 km wide. The deepest point of this glacial lake is 446 m, with an average depth of 71.7 m. The lake has 26 islands within it that cover a combined area of 759.3 km². Great Bear’s Primary outflow is the Great Bear River. The surface area of the lake is at a height of 186 m above sea level, and it’s known for unbearably cold temperature drops in the winter months. Another lake from the Northern Hemisphere, Lake Baikal, also called “Nature’s Lake”, is a rift lake (Lakes formed due to movements within a tectonic rift zone) situated north of the Mongolian border in Russia’s southern Siberian region, between the Russian states of Buryat Republic and Irkutsk Oblast. 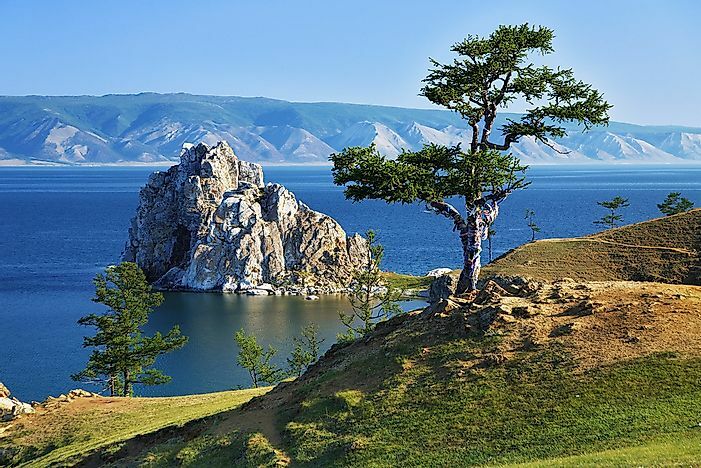 Lake Baikal is the world’s largest ice-free freshwater lake, and contains around 20% of world’s total fresh water. It is also considered to be one of the ‘clearest’ lakes in the world. Along with being the 7th largest lake in the world, with a total surface area of 31,500 km², it also the world’s largest lake by volume, and the world’s deepest lake. It may even be one of the oldest lakes on our planet, with an age estimated to be no less than 25 million years. The average depth of this lake is 744.4 m, with its deepest point being 1642 meters (rift lakes are typically deeper compared to non-rift ones, due to the depths of the rifts formed by tectonic movements which the waters fill). It is called the “Galapagos of Russia owing to the isolation from humans and longstanding age that have made home to some of the most varied and unusual fresh water fauna in the world. The basin of this lake is situated entirely in Russia, and its primary sources of inflow are the Barguzin, Selenge and Upper Angara Rivers. It is drained entirely by the Angara River. 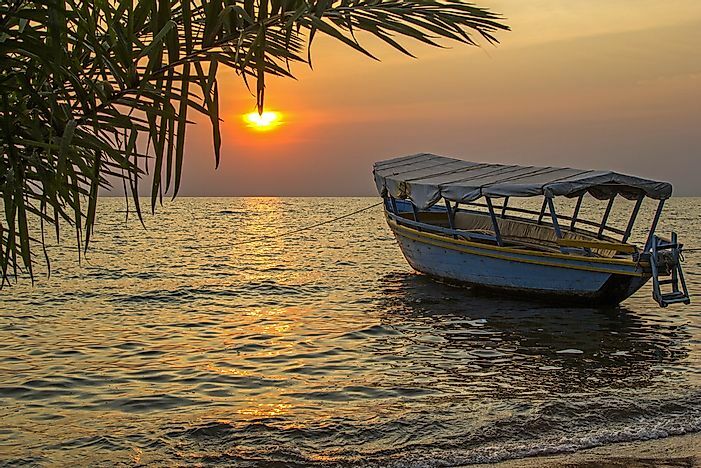 Lake Tanganyika is another of the African Great Lakes to make our list. As the world’s longest freshwater lake and among the largest in surface area, Lake Tanganyika is located amidst the highlands of Africa, with inflows from the Ruzizi, Kalamboo, and Malagarai Rivers. According to estimates, it is the 2nd deepest and largest freshwater lake in the world by volume. With a basin extending into Burundi, Tanzania, Zambia, and the Democratic Republic of Congo, Lake Tanganyika is the world’s 6th largest lake overall, with a total surface area of 32,893 km², and average depths of 570 m, with the deepest point being 1470 m below surface level. 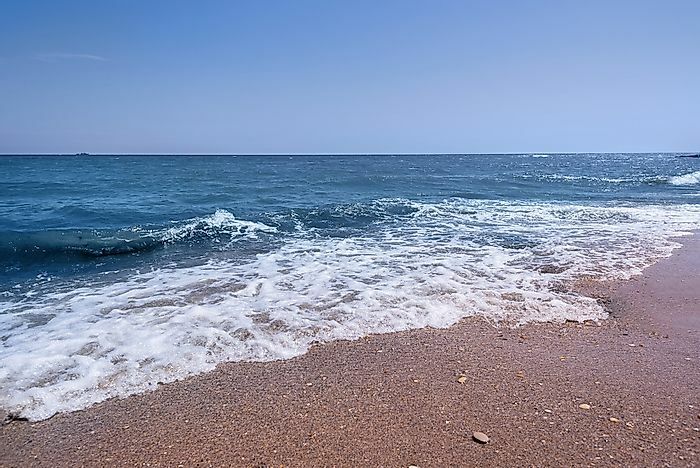 Like many large lakes, Lake Tanganyika was formed due to tectonic movements, and has a distance of 677 km at its longest, and a width of around 50 km at its widest. It’s known to be the 2nd deepest lake, after Lake Baikal, and is formed 642 m below sea level. Lake Michigan is among the Great Lakes found in North America but, unlike the others, this lake is situated entirely within the United States. In fact, it’s the largest amongst all of the lakes that are found entirely within one single country. Out of the Great Lakes, it's the 3rd largest by surface area, with a total area of 57,800 Km², and, by volume, it is the 2nd largest with 4,918 cubic km of water. It is 494 km long and 190 km wide, and has over 2,575 km of shoreline. The basin of Lake Michigan is conjoined to the basin of Lake Huron to the east. With an average depth of 85 m, the lake reaches down to 282 m at its deepest point. 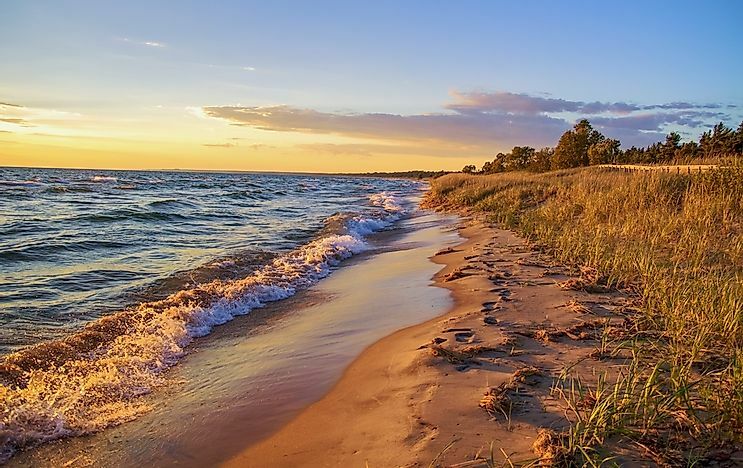 Like many other lakes in North America, Lake Michigan was formed by glacial movements, and is connected to the ocean by means of manmade waterways and canals, such as the Saint Lawrence and Great Lakes channels which were constructed to meet that purpose. Bounded between Michigan in the US on the west and by Ontario in Canada on the north and east, Lake Huron is another from among North America’s Great Lakes. Huron can boast its prowess as the world’s 4th largest lake, and the 3rd largest fresh water lake, with a surface area covering 59,596 km². The lake is 331 km long and 295 km wide. The deepest point of the lake is 229 m, and its average depth of is 59 m. Like the other Great Lakes, Lake Huron was formed due to the movement of glaciers, and its main sources of inflow are Mackinac Strait and Saint Mary’s River. Another fun fact about Huron is that the lake is the home of Manitoulin Island: the Largest 'Lake Island’ in the world. Lake Victoria holds the titles of Africa's largest lake, the world’s largest tropical lake, and as the 2nd largest fresh water lake, covering a total surface area of 69,485 square kilometers. 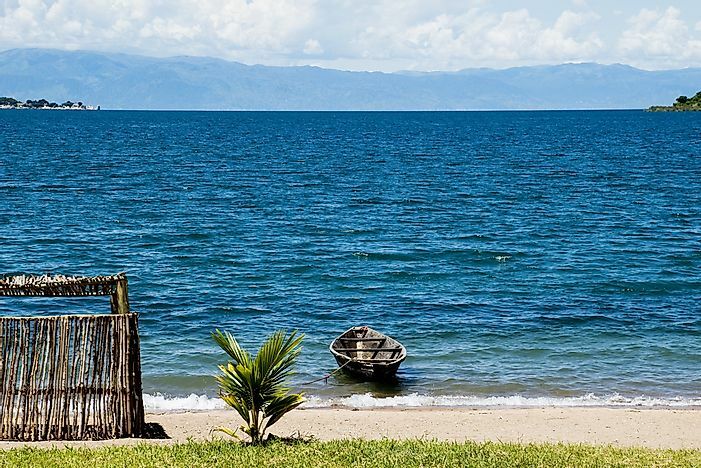 Named after Queen Victoria, it is one of the Great African Lakes, and is fed by inflows from the Kagera River. The basin of the lake covers a large area of Africa. This lake is relatively shallow, with an average depth of 40 m and a maximum depth of 84 m. Lake Victoria is bounded by Kenya, Uganda, and Tanzania, and has 84 islands within its body. Lake Superior is the largest freshwater lake in the world, as well as the the 3rd largest such body by volume, and the 2nd largest lake of any kind by overall area in the world. It is also the largest amongst all of the North American Great Lakes, with a total surface area of 82,414 square kilometers. 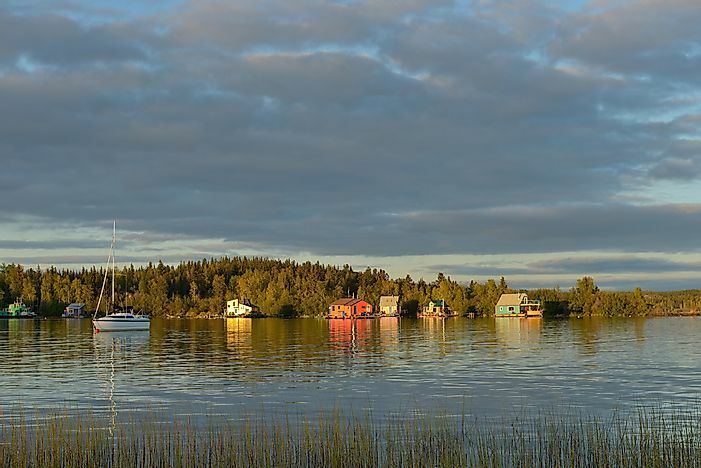 At its furthest extent, Lake Superior is about 563 km long, 257 km wide, and attains a maximum depth of 406 m. Via the St. Mary’s River and the Soo Locks, water from Lake Superior flows outward into Lake Huron. 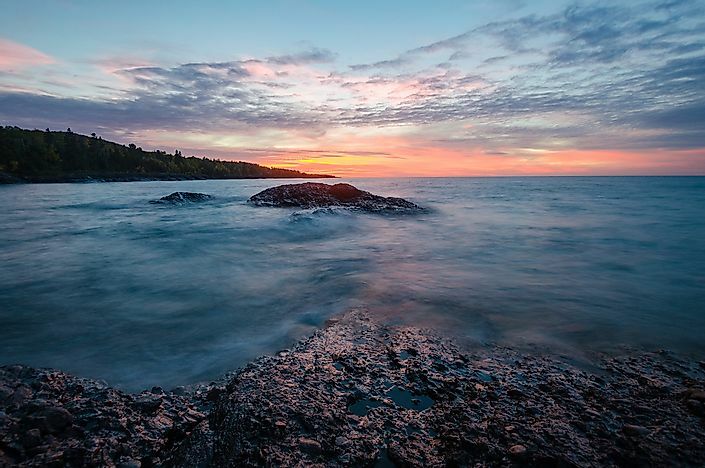 Like the other Great Lakes, Lake Superior was formed due to glacial movements. Despite the term "sea" being used in its name, the Caspian Sea is technically the largest lake in the world. 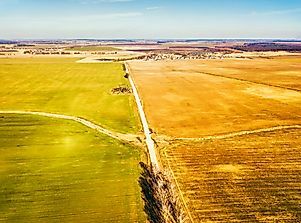 It is the world's largest enclosed inland water body, with a total surface area of 371,000 km², holding 78,200 cubic km of water by volume which is about 3.5 times more water by volume than all five of the Great Lakes combined. Besides this, it is also the 3rd-deepest lake in the-world. 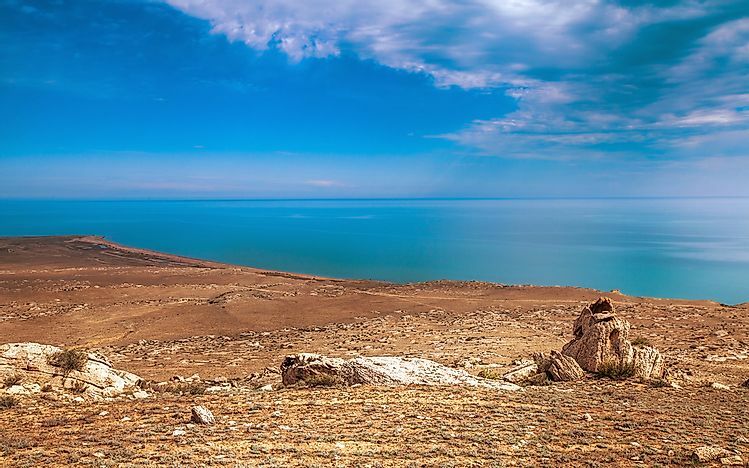 The Deepest part of the lake is 1,025 m, and the lake has a length of 1,199 km at its longest span, with an average depth of 211 m. The Caspian Sea is unique as the only Oceanic Lake on this list, with the rest being considered as Continental Lakes. This is because rather than being entirely over the continental crust, the Caspian Sea has an Oceanic Basin. It also is an “endorheic basin”, referring to it being a closed system with no outflows. The Caspian Sea has Iran, Kazakhstan, Turkmenistan, Russia and Azerbaijan among its basin countries. The Volga, Ural, Terek, and Kura Rivers all serve as major sources of inflow feeding the Caspian Sea. This page was last updated on September 11, 2018.